Mt. Tochal 3965 masl is situated in the central part of Alburz Mountains in north of Tehran, Iran. Tochal peak is only 7 Km away from the capital, it is an integral part of Tehran, where urban and alpine co-exist. Anywhere in Teheran all you have to do is look out nothward to see this great mountain. Due to the vincity of capital city Tehran, Mt Touchal is one of the most popular summits in Iran for hiking trekking. On Iranian weekends, Thursday and Friday, scores of people jam-pack the trails. From top of Mt Tochal, in a clear day and good visibility towards the south, you can see the vast metropolis of Tehran with the desert plains in the horizon. And towards the north, endless ocean of high summits of Alborz range. Like a true king, Mt. Damavand rises far above the rest of the peaks. 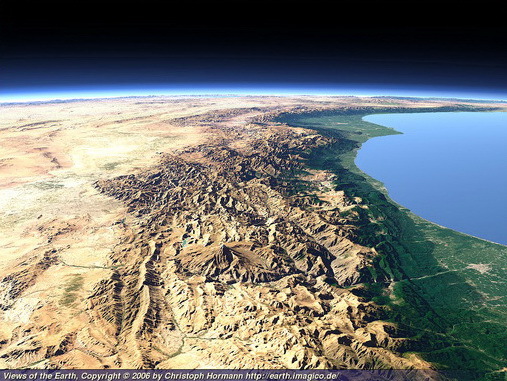 The Alborz Mountain Range is about 1500 Km long chain in north of Iran separating the Caspian Sea from the central plateau of Iran. The giant dormant volcano Damavand with elevation of 5671 masl (18606 ft) is the highest peak and Alam kouh (Mt. Alam) 4850 m is the second highest peak of the country. Tehran is a mega city which is home of more than 10 million people. 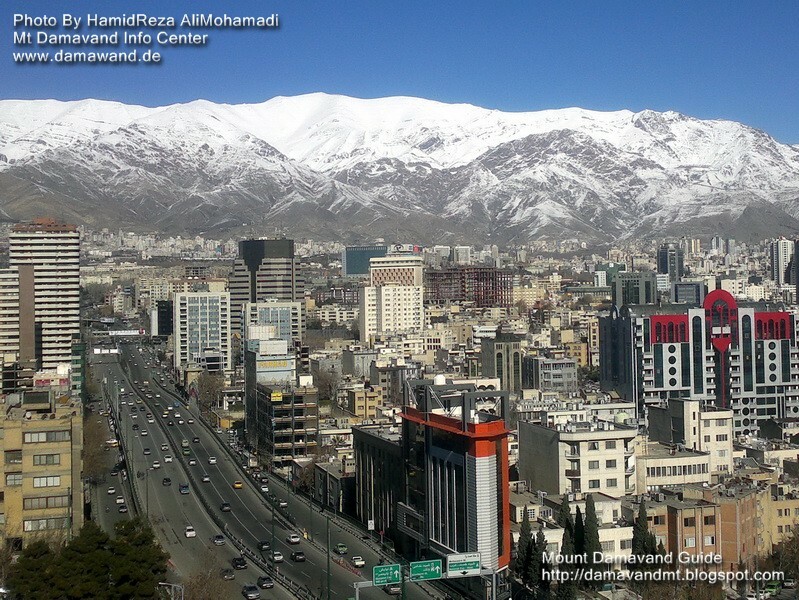 Tehran city is located on the slopes of Mt Tochal. The elevation of capital Teheran ranges from around 1800 m in the north down to 1000 m at the south. It does snow in Tehran in winter, but snow usually melts away after a few days of sunshine. But thick blanket of snow remains on higher slops of Tochal Mountain (approx above 3000 m) from autumn to spring. On the north face of the mountain patches of snow stay on higher slopes untill early summer. Touchal looks brown and barren from mid-summer to early autumn. Tehran smog (smoke and fog) limits the view of the mountain mostly in winter. Mount Tochal is a great mountain. Summits of Alborz mountain range. Tochal peak in north of Tehran, Iran. Tochal Mountain near capital city Tehran. Mt. Tochal in central part of Alburz Mountains. Mt. Damavand is the true king Alburz Mountains. Mt Touchal is a popular summits for hiking trekking. Damavand is highest peak in Alborz Mountain Range. Alam kouh (Mt. Alam) is the second highest peak of Iran. Giant dormant volcano Damavand is in Alborz Mountains. Tehran City is located in the southern slopes of Mt Tochal.